In today’s world of technology, deployed solutions are no longer the end of a project, but the beginning. Case in point: API’s enable companies to have more agile development, innovation across their development teams, and enable partners and customers to easily integrate their services and information into their own applications. One of the keys to the API value is the ability to create versions of API’s that enable new capabilities without having other developers change their own applications unless they want to leverage the new capabilities. As an example, a Netflix app on a TV may not be updated, although Netflix and their API’s add functionality all the time. The viewer is still able to access and watch movies on the older version of the TV app, but they just can’t take advantage of the latest new features. The same is true of API Management solutions. As the API economy matures, so do the solutions that enable companies to manage and provision API’s to various development communities. Whether it is providing a developer’s portal focused on external partners for application development, or providing API’s for internal developers to standardize on data and security access, API Management solutions are also maturing and evolving. A good example: IBM with its latest API Connect ver2018 solution has taken a more than evolutionary approach to API Management across different cloud and on-premise deployments supporting Docker and Kubernetes container orchestration to increase deployment flexibility and management of API’s. iSOA Group and our trusted advisors understand the importance of API Management solutions and their ties to supporting the business strategy they enable and have deep experience with API Management solutions, such as API Connect ver2018. 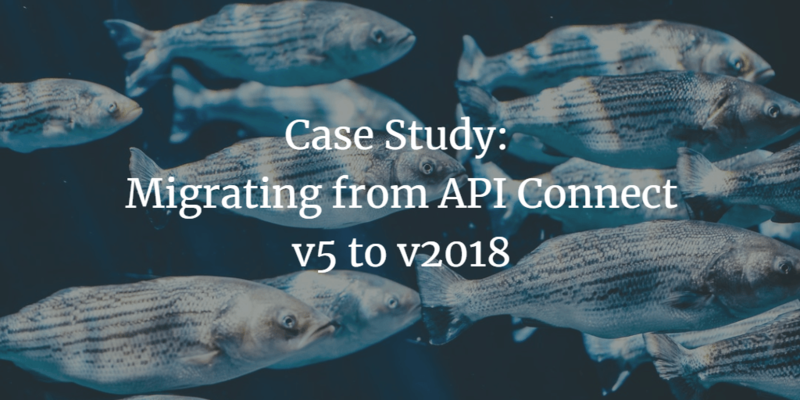 You can read more on our use case here, where you will also find a link to a special client case study and plans for migration to the latest IBM API Connect ver2018 solution. If you would like to discuss your API Management strategy and needs, or if you are looking to migrate your current solution to the latest version please contact the iSOA Group team and we would be happy to schedule a call with one of our trusted advisors. Will you be at IBM’s Think 2019 conference, in San Francisco? If you would like to meet us in person please contact Natalia at natalia@isoagroup.com and she can help schedule time to meet.